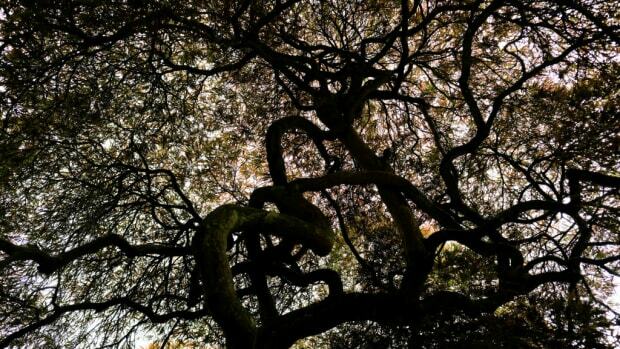 In order to better understand just how extreme the state's weather has gotten, scientists looked to the ring patterns of 500-year-old oaks. 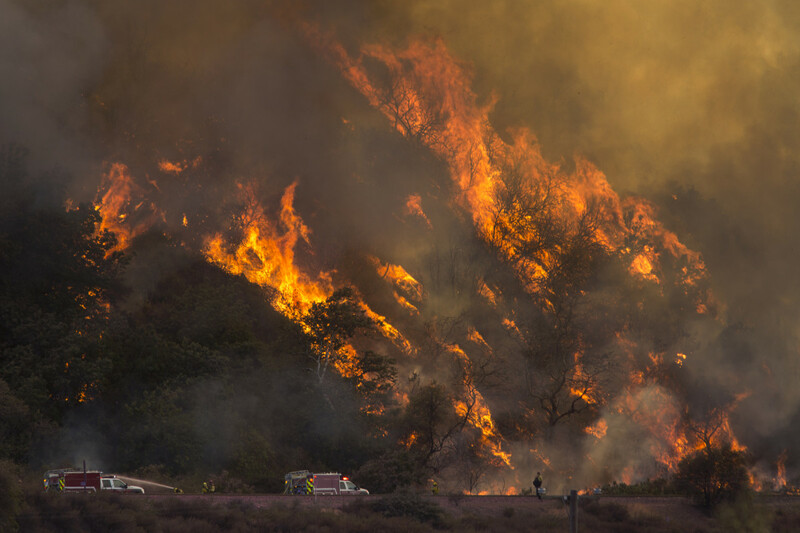 The wildfires that torched California last fall came right on the heels of another calamity, a five-year drought that was finally washed away in early 2017. Much ink has been spilled trying to pin these extreme weather patterns on human-caused climate change, but such debates raise an even more basic question: How "extreme" are these events? Was this drought really that rare in notoriously arid California? The answer is tricky. To make a well-educated guess at how often prolonged droughts have occurred in California&apos;s past we would need centuries, if not a millennium, of climate data. Unfortunately, humans haven&apos;t been measuring precipitation and temperature for that long. But, thankfully, someone else has. Blue Oak trees stretch out their broad limbs, as if awakening from a long nap, over the scrubby foothills that ring California&apos;s Central Valley. These trees have lived here for thousands of years, and despite being rooted in place, they are far from asleep. In fact, Blue Oaks are keen observers of climate conditions in the region. They write that story in a series of concentric rings inscribed within their trunk, adding a new line each year to stay current. Daniel Griffin has built his career by reading these stories, the central activity in the field of dendrochronology (in Latin, the study of "wood-time"). Griffin, a physical geographer at the University of Minnesota, studies the size of annual rings to understand how climate drives tree growth. "Blue oaks have an almost one-to-one relationship with precipitation," Griffin said. He attributes the strength of this relationship to the timing of their growing season, in spring immediately after the rainy season. In years when water is plentiful, the trees soak it up and build a sturdy, fat ring. Plus, Blue Oaks are long-lived. "Individuals routinely live to be 200 to 300 years old," Griffin said, "and in exceptional cases at least 400 to 550." 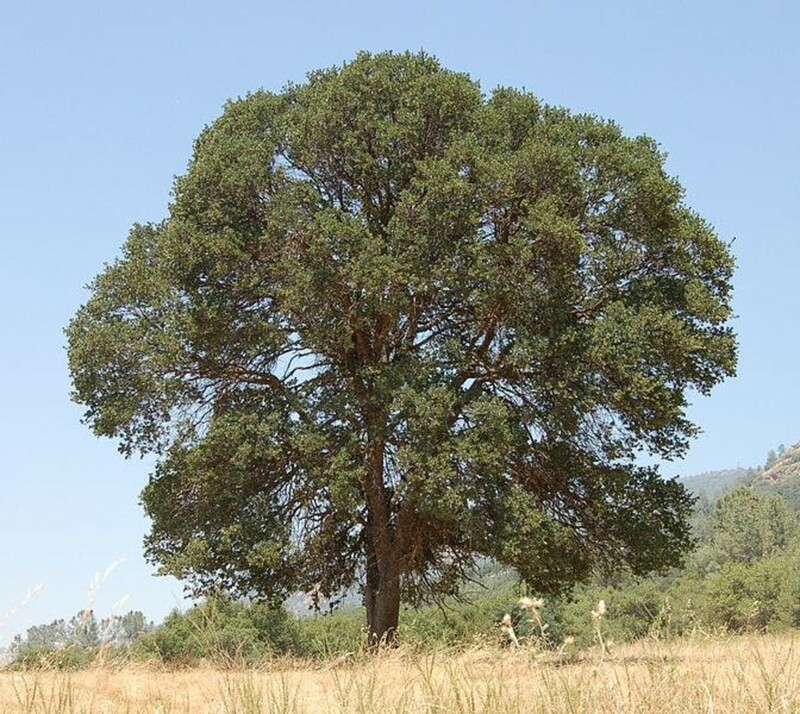 However, Griffin cautioned that it can be difficult to estimate a Blue Oak&apos;s maximum age. 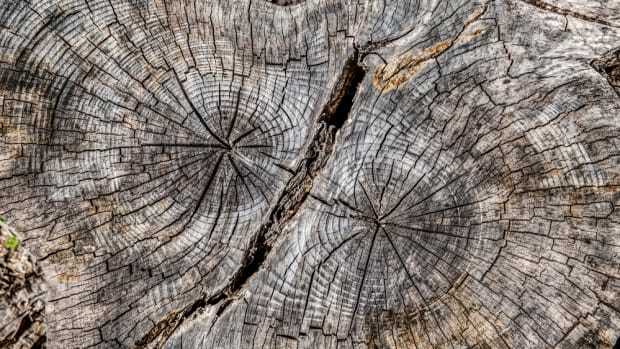 The wood at the center of the trunk, containing the trees&apos; oldest rings, is prone to rot. Still, Blue Oaks&apos; longevity and sensitivity to moisture popped into Griffin&apos;s mind when he began hearing about the extraordinary severity of California&apos;s recent drought. "In early 2014 I started seeing news reports that this might be the worst drought for 500 years in California," he said. "I was suspicious." Griffin has researched the arid climate of California for decades, and he knew that periodic droughts in the region were the rule, rather than the exception. "I had been involved with tree ring studies of hydroclimate in California since the early 2000s," Griffin said. When confronted with the idea that the recent drought was off the charts, "I just didn&apos;t believe it," he said. So he asked the trees. A Blue Oak in California. Griffin and a colleague, Kevin Anchukaitis, collected pencil-thin cores from living Blue Oaks, as well as cross sections from stumps of trees that have been dead for decades or centuries. By matching up the patterns of wide and narrow rings among their samples, living and dead, Griffin created a 1,200-year chronology of Blue Oak growth in California. In some years, large growth rings across all the samples indicated excellent moisture conditions for the trees. In other years, called "pointer years," dry conditions caused tiny rings, sometimes only a couple cell layers thick. Griffin has these pointer years memorized, a dendrochronologist&apos;s party trick. "1580, 1613, 1654, 1795..." he recited, "There&apos;s a long list of these individual years that were really hard on all the trees." But to determine whether any past droughts, indicated by poor tree growth, were more severe than the California drought as of 2018, Griffin had to get quantitative. Griffin carefully measured the exact width of every annual growth ring from his samples, and then correlated ring size with rainfall for each year in the past century, when precipitation has been measured directly. Once he calibrated this relationship between tree growth and precipitation, Griffin could use the size of the Blue Oak rings to estimate precipitation for the entire 1,200-year length of his tree ring chronology. The trees revealed that the 2012–14 drought period was not the driest in the last millennium in terms of precipitation. Two separate spans, each lasting three years, had even less rainfall: 1898–1900 and 1527–29. However, precipitation doesn&apos;t tell the whole story of a drought. High temperatures accelerate the evaporation of what little moisture might be available to plants in the soil, and California has warmed in recent decades. "Temperature is playing an increasing role in soil moisture and water balance," Griffin said. So he and Anchukaitis decided to re-run their analysis using another environmental variable besides precipitation. They chose the Palmer Drought Severity Index, an estimate of soil moisture that accounts for the combined effects of precipitation and temperature. Compared to precipitation alone, PDSI paints a more realistic picture of drought as experienced by Blue Oak trees—or humans, for that matter. In terms of PDSI, Griffin and Anchukaitis found that the 2012–14 drought was the most severe three-year span in the last millennium in California. Soils in 2014 were drier than any single year in the 1,200-year tree growth chronology. California&apos;s recent drought was a truly extreme event, even before it stretched into 2015 and 2016. "The high temperature was something different about this particular drought," Griffin said. High temperatures will be here to stay as the global climate continues to warm. Droughts of this severity, though unprecedented so far, may become a regular feature of California&apos;s human-altered climate. Griffin believes water resource planners and engineers should take note. "This is the type of [drought] that we expect in the future," Griffin said. "It would make a lot of sense to realign our expectations of &apos;normal&apos; in California and plan for some of the worst that we&apos;ve seen in the record, including this event." Blue Oaks told us that the recent California drought was truly exceptional, and they are hardly the only trees with stories to tell. Similar studies could potentially yield historical context for last fall&apos;s wildfires too—scars in tree trunks can help reconstruct the extent and timing of past fires. Trees have been growing for far longer than humans have been measuring the climate. They provide valuable proxies for environmental change, helping to contextualize our own experience in a warming world. Other climate archives, like cores sampled from ocean sediments or ice sheets, can provide similar information on an even longer time scale. By looking to the past, and the organisms that have lived it, we can try to understand—and plan for—how anomalous our human-altered future is becoming. This story originally appeared on Massive, an editorial partner site that publishes science stories by scientists. Subscribe to their newsletter and follow Massive on Facebook and Twitter. 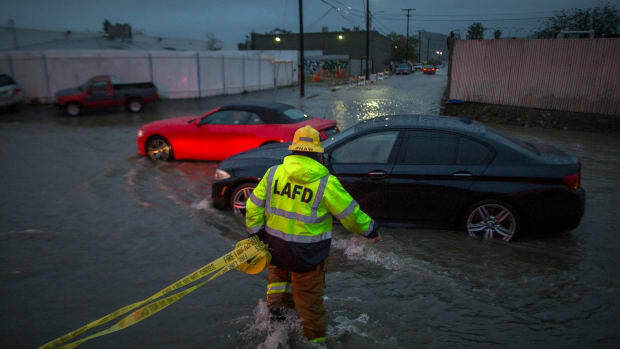 A new study finds that, by the end of the century, California's climate is expected to oscillate more frequently between extreme drought and deluge conditions. 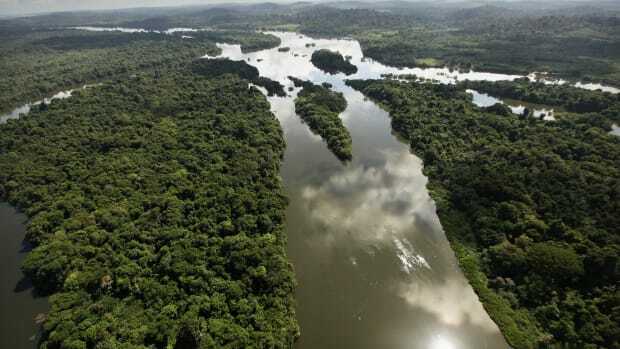 How Will an Increasing Number of Droughts Affect the Amazon's Trees? A new study sheds light on which trees are the most suited for dealing with changing weather patterns in the region. Benjamin Cook looks at ancient trees to forecast future droughts. His latest findings are not good news for the West. 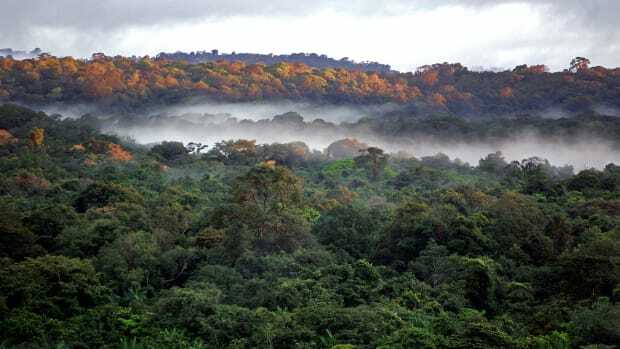 New research suggests that the rate of change in tree composition within the Amazon basin lags by two orders of magnitude behind the change in climate. In Austin, Texas, and King County, Washington, private companies can now offset their carbon emissions by funding tree-planting in their local cityscape. 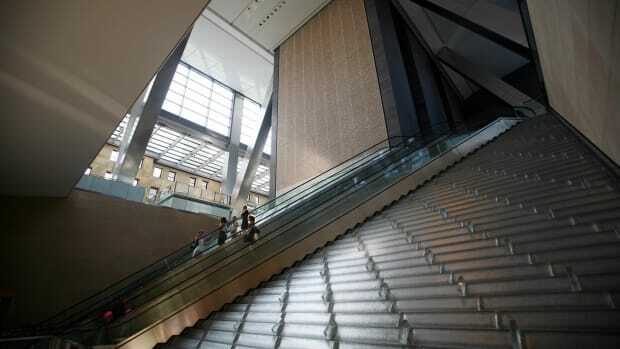 In the era of climate change, do the current standards of environmentally sound building practices—developed in the late '90s—still hold up?